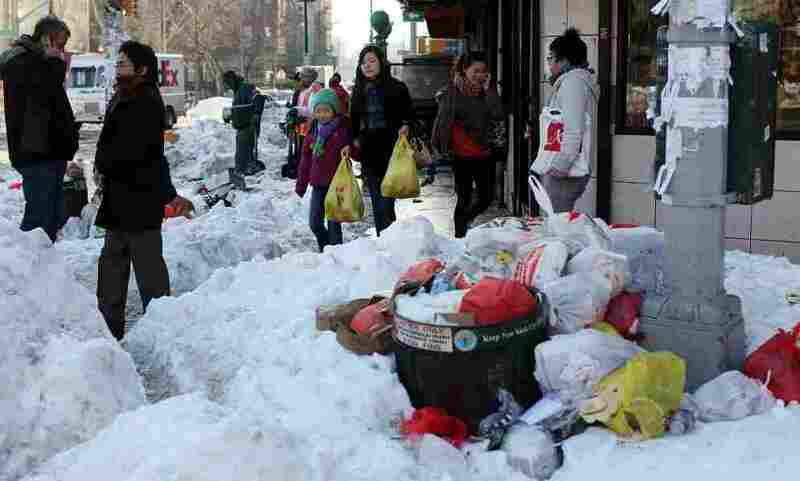 New Yorkers walk through a snowy street in Chinatown as trash piles up. 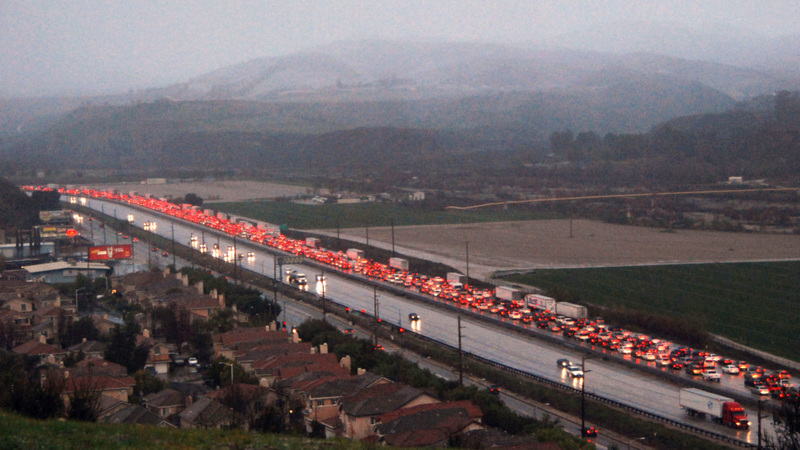 Red taillights of slow and stopped traffic glow on northbound Interstate 5 near Castaic, Calif., after heavy snow closed the major north-south several miles north of this point Sunday, Jan. 2 2011. Here's a classic first line from the New York Times: "Garbage is the new snow in New York." After digging out from more than two feet of snow last week, New Yorkers may have another reason for fury. Half of the city's sanitation workers who haven't been laid off are still clearing snow. The other remaining half will collect refuse. Most city residences have not had trash collected since Christmas Eve. Sheepshead Bites blogger Ned Berke predicts one of NYC's top local stories of 2011 will be Sanitation: "...continued budget cuts to New York’s Strongest will see a pared down workforce and many supervisors demoted." The California Highway Patrol closed the mountainous section of interstate freeway that's dubbed the Grapevine; it links the central California basin with the greater Los Angeles area. Snow, ice and powerful wind gusts all make it impossible to travel safely. (I find it an intense drive in the summertime!) The LA Times reports 100 vehicles were stranded and the CHP may open the road today - or tomorrow. 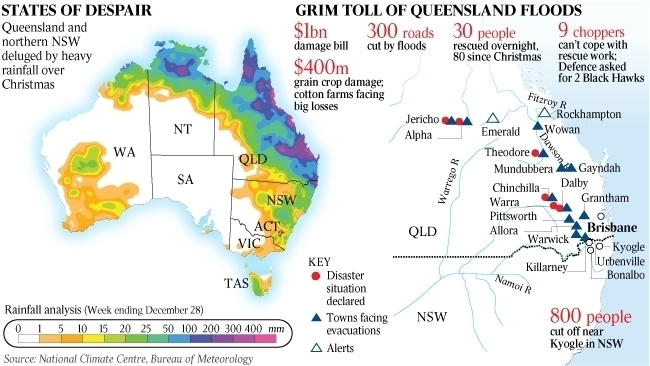 Eastern Australia is getting its wettest spring ever. Reuters says officials have measured 30-foot flood waters after six rivers swelled over their banks, filling 22 towns and cities, and forcing 200,000 people to find shelter. The city of Rockland is cut off; the Australian military is ferrying supplies in and taking victims out. The BBC describes the disaster as "Biblical".